Made from brightly coloured, flexible rubber, KONG Safestix are a safe and fun alternative than real sticks, which can splinter and cause injury. 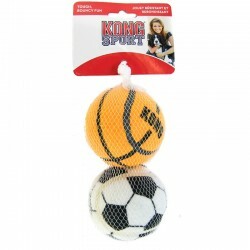 Ideal for games of fetch indoors and out, KONG Safestix also float on water, for dogs that love to swim. Floats - great for use in water!